How do you know when you should NOT hire an editor? Here are a few tips. Editing is a vital part of the publishing process, and I encourage most writers, especially self-publishers, to hire an editor. However, working with an editor may not be the best move in certain circumstances. As the saying goes, not everything is for everybody. Here are some reasons you should not hire an editor to review your manuscript. You didn't do a re-write. Different types of editors perform different tasks ranging from helping you flesh out the plot and characters to checking grammar, spelling, and punctuation. Some of them rephrase sentences or even small sections for clarity and others help rearrange the manuscript. None of them re-writes the entire manuscript for you. If you have not done at least one re-write of your manuscript, you should not hire an editor. Your job is to write. The editor's job is to help you improve the quality of your manuscript, not to re-write it for you. Rewrites make your manuscript better BEFORE you approach an editor. You don't like feedback. Writers have to have thick skins and cannot let their egos interfere with the editing process. Part of an editor's job is to tell you when something isn't working in your manuscript. If sentences are unclear or characters are not properly developed, the editor is the person who tells you. If you've lost the thread of your plot or your non-fiction work lacks direction, the editor tells you. If you can't take a critique of your work, you should not hire an editor. There's no way to avoid hearing about the weaknesses in your manuscript except to not work with someone whose job it is to call attention to them. Writers can't let their egos interfere with the editing process. Your words are too precious. We all love our words. They're like our babies. We've placed them on the page and think they are perfect just as they are. The editor's job often involves recommending changes to or deletions of our words. It could be for any number of reasons. The word count may be too high. The word choice may have been poor. The sentence structure may be wrong or convoluted. The words may be too obscure or too common. Either way, you have to be willing to cut some words. 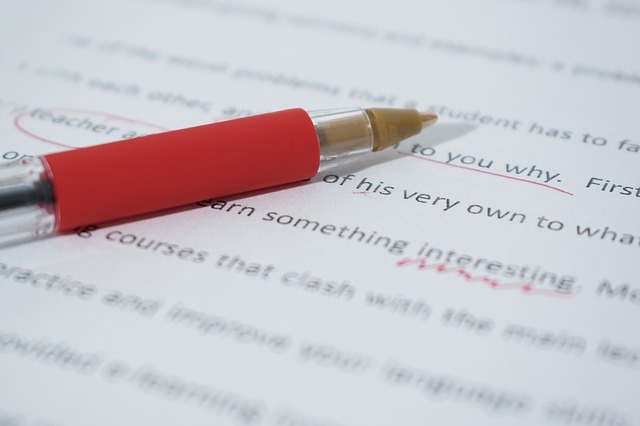 Editors suggest changes and cuts to help make your manuscript stronger, but if you can't kill off some of your words, you should not hire an editor. If you can't kill off some of your words, you should not hire an editor. You are the writer so, ultimately, the decisions about your manuscript are yours to make. If you are not willing and able to re-write, take feedback, and cut where needed, working with an editor will be counterproductive and you will feel disappointed with the experience. If you're ready to put on your writer's hat and get to work, let an editor help you improve your manuscript. Are you ready to hire an editor?